We are what we eat. Natural, fresh, unprocessed ingredients are the first step to a healthy diet. A balanced diet combined with an active regime makes for a happy and healthy life! I am always telling you all to get fit, get strong and get healthy but exercise alone will not keep us well. What goes into our bodies is just as important as what we do to keep them in shape. So I believe that food should be energy boosting, nutritious and tasty. At Studio Carme, I don’t believe in extreme eating plans. Usually it is unrealistic and it can be unhealthy. I am also well aware that people are busy working and raising families and that not everyone has the time or inclination to ferment their own kefir or sprout grains. Today nutrition is important to us all but I’m sure like us many of you still have some questions. Over the next few months we will endeavour to answer these and more. Why would I want a turmeric latte? Am I actually in need of more fat in my diet? Can what I eat help keep my bones strong as I get older? Is it easy to follow an anti cancer diet? 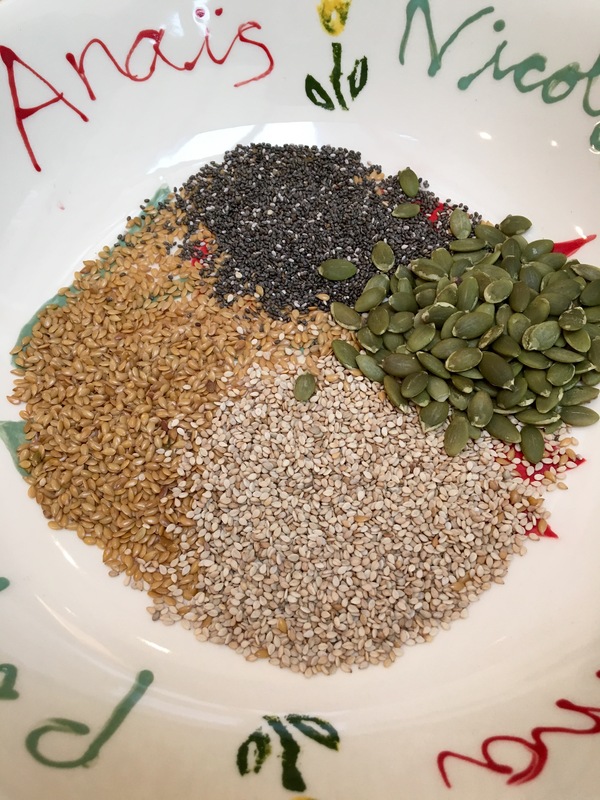 Should I add seeds to my daily meals like chia, linen, flax, etc.? Taking all of this into account what I want to do in the blog is share my thoughts on how to improve eating habits and give you some delicious and practical recipes. Everyone wants to try and eat as well as they realistically can in order to maximise health and immune function. So I want to make sure you are doing just that! I hope you enjoy these blog as much as I do writing it.